The Sunshine Space: Baby Girl. Earlier this week, JD and I had an ultrasound where we were able to find out the gender of our little one. After getting to see all its tiny movements and hear about its healthy growth, we were so anxious to know whether it was a girl or boy. However, we told the ultrasound tech we didn't want to find out at the hospital and asked if she would write down the gender on a slip of paper and put it in a sealed envelope. We closed our eyes and squeezed each other's hands while she checked and took measurements to see if it was a teeny guy or gal. Oh, it was so nerve-racking! After the appointment, we took the envelope to a bakery and special ordered a cake. The inside icing would be blue for a boy or pink for a girl. 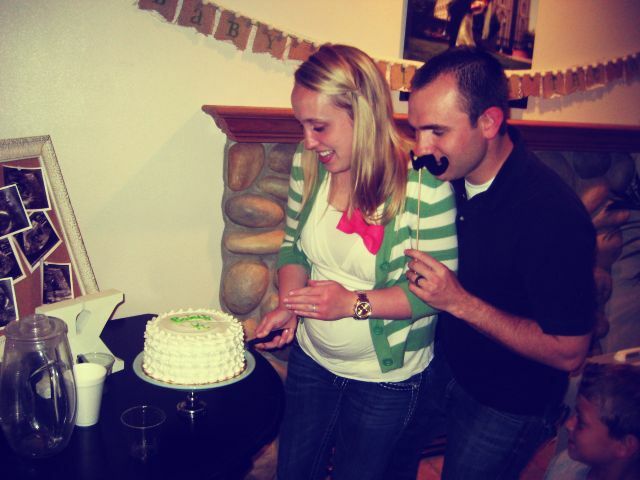 We invited friends and family over on Friday night for the big gender reveal. 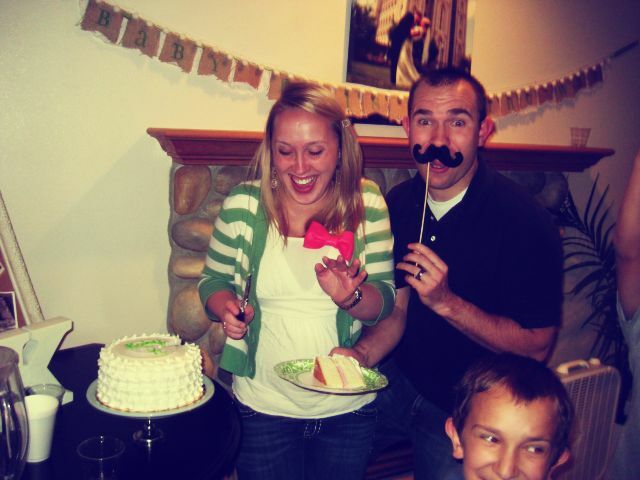 I made cute pink bows for "team girl" and goofy mustaches for "team boy" and guests had to pick their team upon arrival. We had hawaiian haystacks for dinner and chatted with our friends. . . and then! it was time to cut the cake! I was so shaky and excited. When I saw that pretty pink icing for the first time, my heart skipped. A girl! A baby girl! 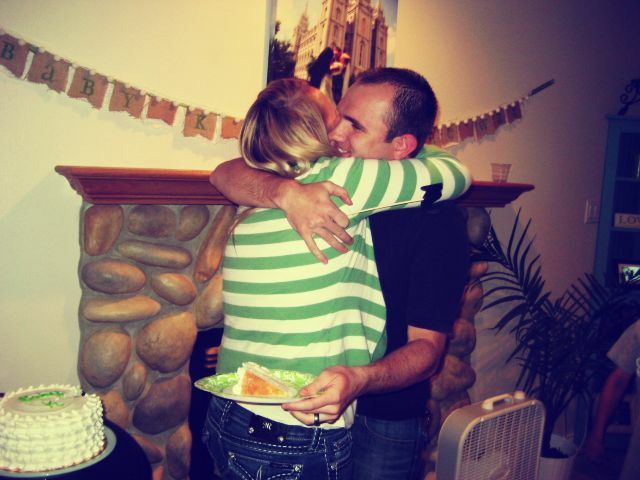 I'm going to be a mama to a precious baby girl! 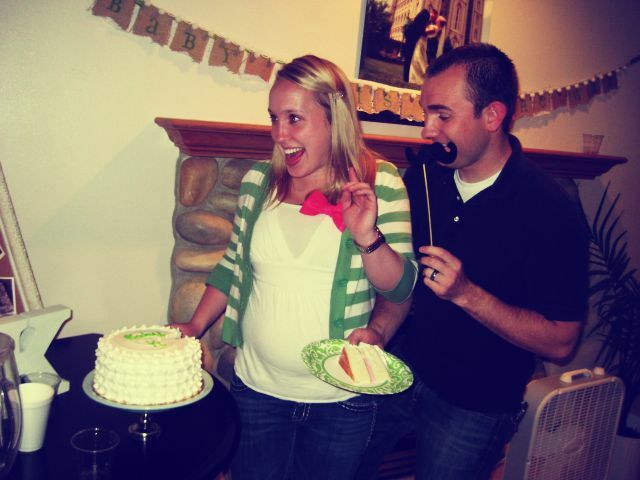 We were not-so-secretly hoping for a girl all along! And now that we know she's a she, she seems so much more real. A daughter. Our daughter. We've just been giggly with excitement all day. Yay yay yay!! I'm so excited for you! Congratulations Summer! 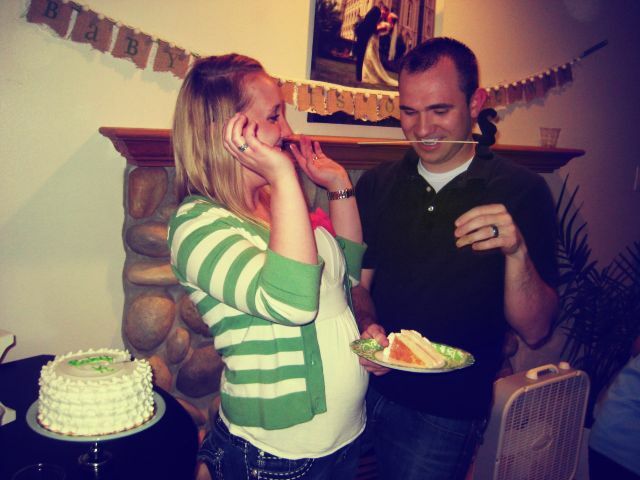 You're going to be a wonderful mama to a beautiful little girl! I definitely cried over this post. I love you!